Payroll Tax Debt Relief – Legal Services for Individuals in Michigan and Beyond! Our Tax Resolution Attorneys are experienced in all cases involving tax resolution, tax dispute, and general issues relating to IRS tax and debt relief. The lawyers at our law firm, are extremely knowledgeable in the local, state, and federal tax code, and can help you today! We offer legal advice for clients throughout Michigan, Oakland County, Wayne County and Beyond. If you have an IRS tax dispute do not hesitate to contact us immediately. Let’s get started rebuilding your financial future. Do Not Delay Resolving Your Payroll Tax Problem! If payroll taxes are severely neglected, the IRS can impose a tax lien, seize all assets, and garnish wages to resolve the debt. A dire result, that could cause a business to eventually close. Even if a business closes, the owner(s), are still responsible for resolving tax debt. Failure to report payroll taxes will lead to an IRS audit and severe penalties. Tax penalties include; failure to file, non-payment, failure to deposit, and failure to pay. The IRS will send a letter to non-compliant business owners and within 60 days an appeal must be filed with the IRS. Further neglect will result in an IRS Notice and Demand for Payment and the IRS collection process will be initiated. Looking for an Experienced Michigan Payroll Tax Attorney? We can help! Payroll Tax Debt Relief is for current or former business owners, who owe taxes to the IRS. Payroll tax is paid into a trust fund. Payroll Tax Form 941 is for an employer’s Quarterly Federal Tax Return. Form 940, an annual form for federal unemployment tax, should be filed by any business that has employees. Form 940 is covered by the Federal Unemployment Tax Act (FUTA). Every employer is required to withhold federal taxes from employee wages which includes federal income tax, Social Security tax, and Medicare tax. Form 941 is used for reporting and paying these taxes to the federal government. Businesses must pay for federal and state unemployment taxes because they do not come from employee wages. To understand payroll tax liability, review Publication 15, Employer’s Tax Guide and Form 941, Employer’s Quarterly Federal Tax Return. The IRS can be aggressive with tax debt resolution. If payroll taxes are not paid, at risk are business assets as well as personal finances. The best choice is to fully repay tax debt and obtain a lien release or obtain a formal IRS installment agreement to resolve the tax debt. 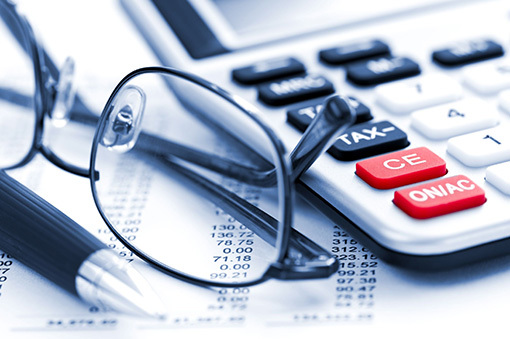 Consult with a tax attorney specializing in payroll taxes in order to resolve tax debt. Offer in Compromise (OIC), a tool that was created to help in these matters. Business owners must contend they owe tax debt and qualify. They must provide proof of inability to repay tax debt. Or, the business owner must prove that they do not owe the tax debt. Depending upon the non-compliance reason, a business owner may qualify for penalty abatement. An IRS payment plan, i.e., installment agreement, may be used to resolve delinquent payroll tax debt.